JNSL relies on its vast and lengthy experience to ensure that each vessel is operated professionally and economically, and customers are provided with professional services and practical shipping solutions. 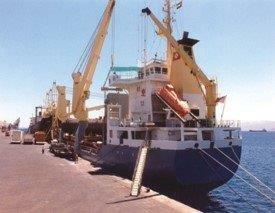 Annually, over 10 million tonnes are carried by JNSL’s various shipping lines on wet, dry and specialized vessel types. The expertise acquired by JNSL since its establishment allows it to ensure timely and efficient execution. Currently JNSL operates various break bulk liner services in the Mediterranean Sea, Red Sea, Arabian Gulf, and Indian Ocean, with the ability to carry steel pipes, containers, RoRo and heavy lift cargo. Our services extend to meet bulk and bagged (global) requirements. Our team is experienced in handling contracts of affreightments where full attention and comprehensive planning are required to meet our client’s business objectives.